Congratulations to all my fellow All-Stars! Community, well done!! Congrats to All-Stars!! Thank you Erica and the Oracle Service Cloud Team! I am humbled to be part of this group of all-stars and grateful to everyone who participates in the communities to make them better. 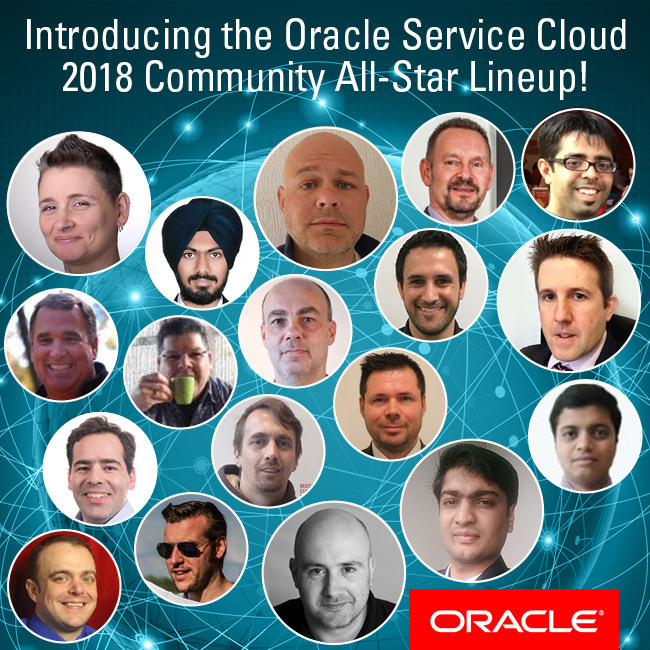 Many Congratulation to all '2018- All Stars' !!! I'm delighted to be an All-Star for the second year running... and humbled to be part of a group of fantastic people and specialists. I also wanted to second Erica on congratulating Jessica who has definitely been a star and key person in the OSvC community. Congratulations all-stars!! the OSvC community couldn't do it without you!! Thanks for your participation in making the community great! Congratulations "2018 All-Stars"!! Thank you for extremely competence!! Congratulations All-Stars!! Thank you so much for your dedication and support. Thank you guys. Had it not been because of your great work some of us would not have been able to get this far. Congratulations.!!!!! Thank you to everyone on the list! We would all still be floundering without you! I would like to give a big THANK YOU to Bastiaan van der Kooij - you have helped me with reports on MANY an occasion by answering my questions or posting answers on others. THANK YOU!!!!!! Congratulations to All-Stars !! and Thank you to all members for making this community what it is today.